With yesterday's announcement of the New Order selling 150 billion isk worth of shares, some might wonder where all of that isk goes. It goes toward the production of high-quality killmails such as these. Let's review some of the finest kills inflicted during the week of November 3rd @ 00:00 EVEtime through November 9th @ 23:59 EVEtime. The New Order killed a couple Orcas this week. My favorite is Angel Beat's, purely for the fitting. Some bot-aspirant Orca pilots will fit their fish with a few "fig-leaf" shield mods. Not this one. The blank fitting puts out an honest message of "I don't give a hoot". Agents D400, Capt Starfox, chenshar, loyalanon, AdiDasler, greg215, Sophia Soprano, Katarina The Despoiler, and arrow raider, on the other hand, do give a hoot about highsec, so they fought for it. OpaMenti spent nearly 900 million isk enslaving a faction battleship and sending it to work in the mines. Agents Sophia Soprano, chenshar, loyalanon, Midnights dagger, and Chaos rises banded together and liberated the Machariel. Unfortunately, there was some collateral damage, in the form of the Machariel. Still worth it, though. 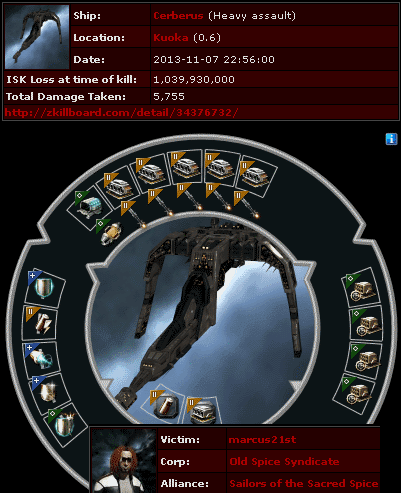 You might assume that a 681 million isk Mackinaw was the most expensive Mack lost this week. 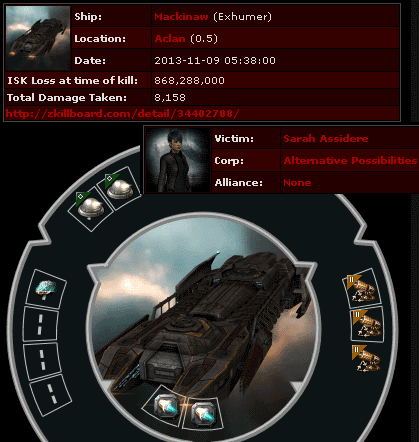 But Sarah Assidere thought she could do better, and managed to lose 868 million isk on an untanked Mackinaw. Typically, it was mining in a 0.5 security status system. Agents Zane Arnolles and Agent 057 learned of the illegal mining op and put a stop to it. Thorasta Tithe learned that you can put an invisibility cloak on your ship, but there's no way to hide from New Order justice. Agent D400 popped the Cheetah, which contained 414 million isk worth of "Melted Nanoribbons" in the cargo bay. I guess they're really melted now. What more proof do you need of the New Order's influence? Bot-aspirant RMT'ers have resorted to disguising themselves as gankers, smuggling PLEX inside Catalysts. But Michiko Paris's Catalyst wasn't fit quite like one of ours. Can you spot the difference? 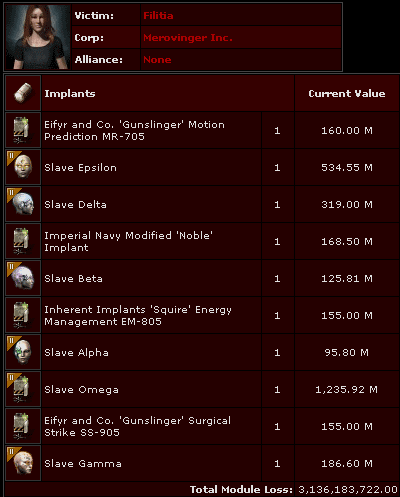 Agent Bob StarSeeker did, and he popped 2.3 billion isk worth of filthy PLEX. 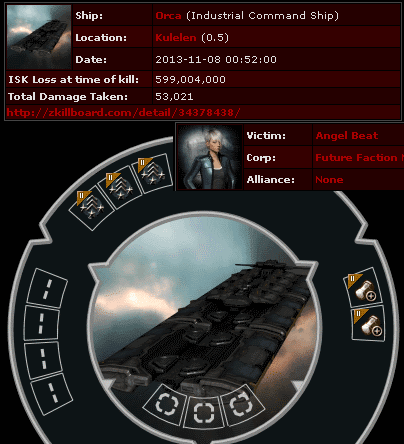 marcus21st designed his billion isk Cerberus by running it through a random number generator. Not so fast! Agents Captain Joel Felix, D400, Capt Starfox, greg215, AdiDasler, and Sophia Soprano caught the criminal behaving suspiciously in one of my systems, so they killed him. 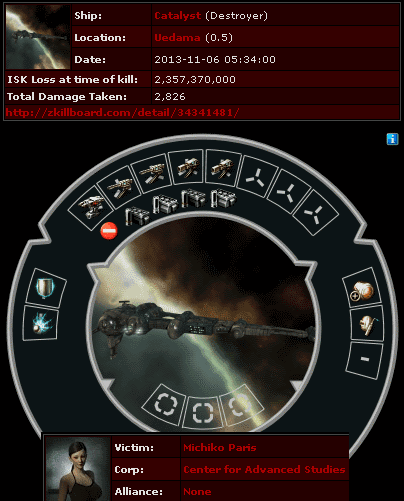 marcus21st also lost a 2.9 billion isk pod, for a total loss of nearly 4 billion. ...But Agent D400 couldn't be denied the Podkill of the Week. 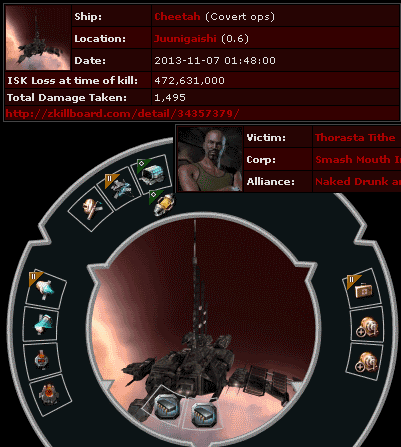 He managed to catch Filitia auto-piloting with a 3.1 billion isk pod, protected only by a shuttle. A shuttle versus D400? The battle could only have one outcome. D400 won the duel before Filitia could return to her keyboard. That's a storybook ending, right there. You should not be able to engage in any profession with a ship that is literally half fit. That's just wrong. Completely agree, they should crank up the rats and PVE NPC's clearly it is too easy if they can survive them with a half fit (some of those are quarter fits). Otherwise, they should reward the New Order some how. And facepalm of the week goes to the pilot of the Machariel. So....was he going to insta-lock the roids and then target paint them to make sure his many mining lasers hit their target?! 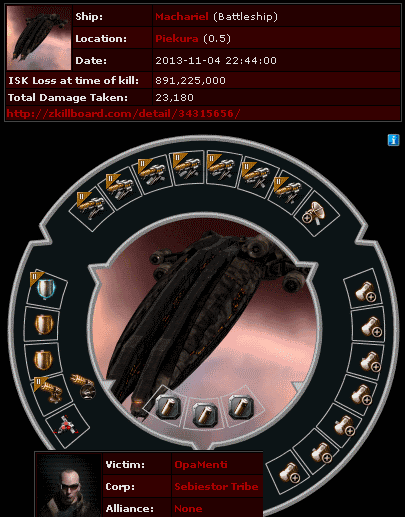 "OpaMenti spent nearly 900 million isk enslaving a faction battleship and sending it to work in the mines. " Because a faction battleship is so much better at mining than a plain old ordinary battleship or those mining barge thingies. So...where's the justice for the Cheetah pilot? It's not like it was mining illegally, just transporting his hard earned goods through high sec like any good citizen would do. 1. A good citizen would fit a tank on his ships. 2. A good citizen wouldn't transport goods in a ship not meant to do it. 3. A good citizen wouldn't afk while in space. 4. A good citizen definitely wouldn't afk while flying a ship worth ganking, with a paper thin tank. 5. Since we know he's not a good citizen from points 1-4, assuming the goods were 'hard-earned' is a dubious assumption. 6. The justice for the Cheetah pilot was/is located in the guns of D400's thrasher. 7. The Cheetah pilot did not have a permit to transport those goods through New Order Territory. Just as a side point to this; I read somewhere that the Cheetah is considered to be 'cloak-tanked' - if operated correctly, plus maybe speed-tanked if fitted appropriately. Isn't that right? Genuine question, folks. I can't argue with point 7; utterly correct. key words. A ship with copious active hardeners, flying afk with hardeners off, is not tanked appropriately; a cloaked ship flown afk with cloak inactive is not tanked appropriately, etc. Hi TiA, yes; got it. This particular miscreant fell foul of good Cheetah piloting technique. Thanks! Okay I've wanted to point this out for a while but couldn't find the right time to. Cut the crap about hi-sec being "your" space :P.
I fully understand the claim of hi-sec being 'yours' is just a joke, a continuation of the troll essentially, and you guys don't actually think that when OOC. None the less it makes you guys come off as sort of immature and childish. Where as the rest of your routine is outright hilarious, this whole ownership if hi-sec aspect is just plain stupid.